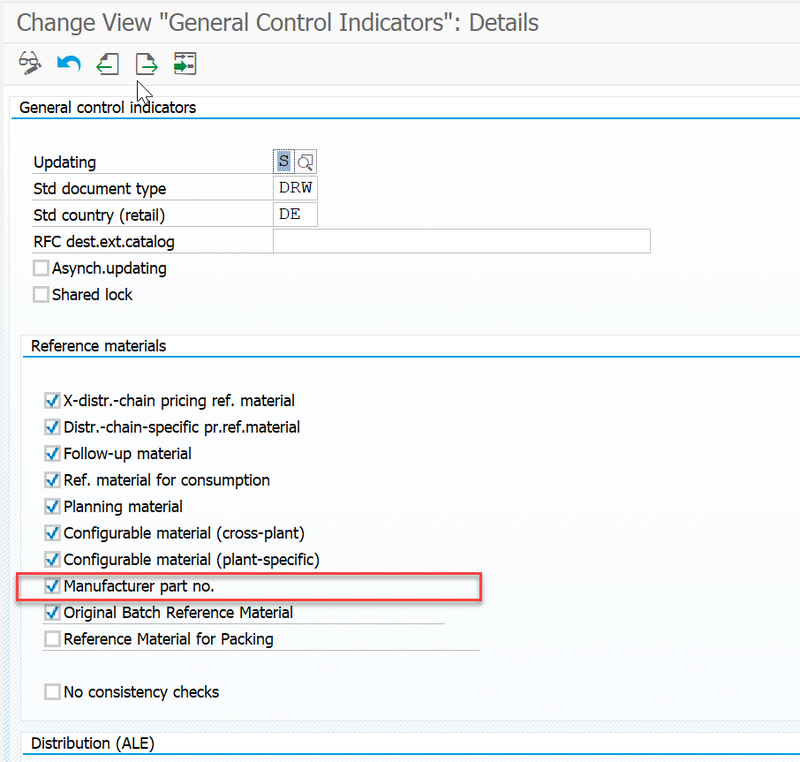 I was trying to look for the information on MPN settings and could not find the detailed configurations steps. After going through some information & help.sap links I was able to configure MPN set up in S/4 1610 system and this works exactly same as ECC systems with printing configured using old output type ( Nast & output type NEU). ** PO print & Nast should be configured in the system for output type NAST. Will post the blog for this, however there are lot of blogs on this. ** S/4 offers two ways of printing: Refer the link to S/4 1610 guide for more details. This blog will help to configure & understand the MPN in the system very quickly and without going through different links. AMPL settings are also explained at the end of the blog. There are links at the end of the blog which can be referred to get more information. Materials part number has few configurations which make it work. 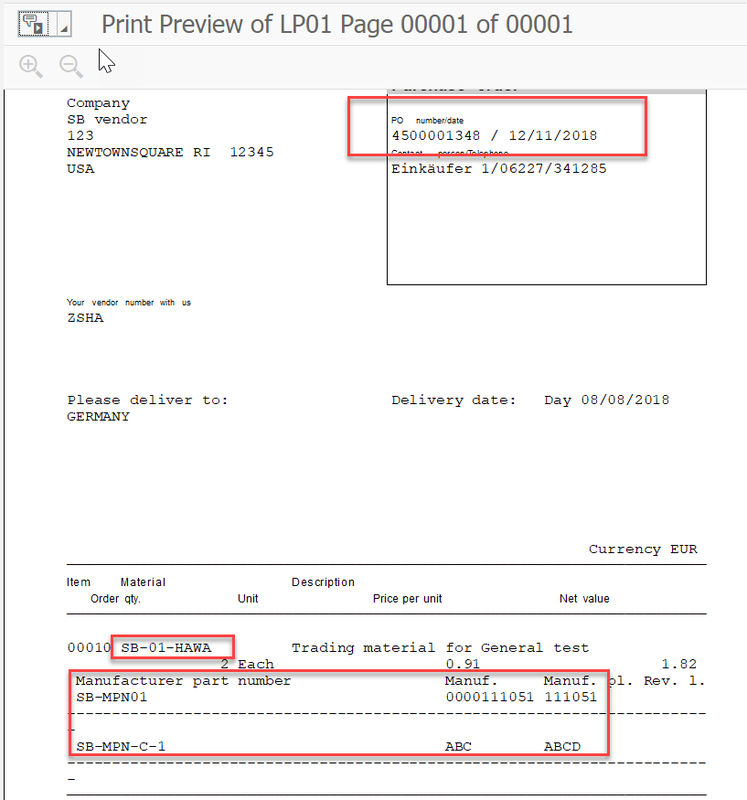 The below example is for Company A with 2 products with different names procured from 2 different vendors or manufacturers. ( There could be more materials and more manufacturers and vendors). 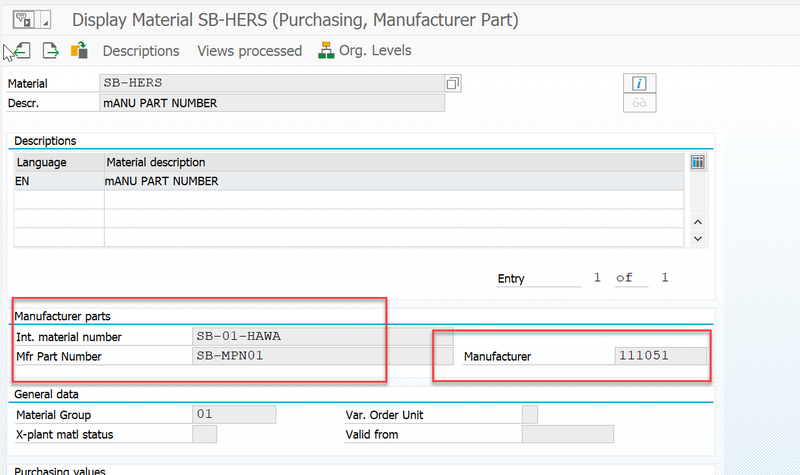 i) Create Company A’s Own material SB-01-HAWA in MM01 with any Material type (example HAWA, ROH etc.) for a plant and storage location. In the next screen enter the data as below & Save. This material created in the system with HERS material type will link the Vendor or Manufacturer and their material with company’s own material. 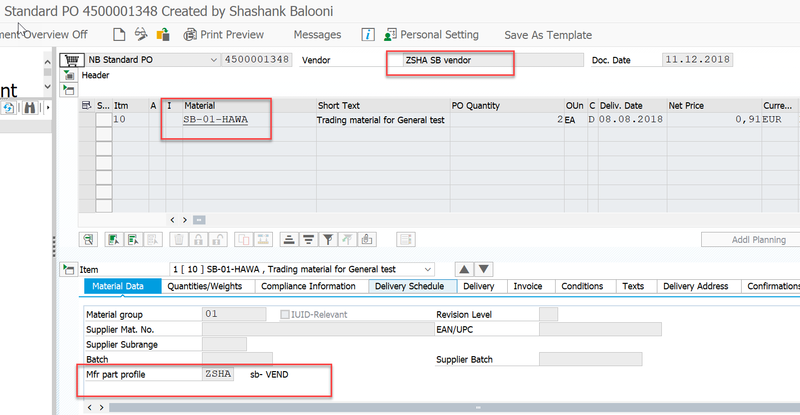 In the above case, SB-MPN-C-1 from vendor ABCD is linked to SB-01-HAWA. 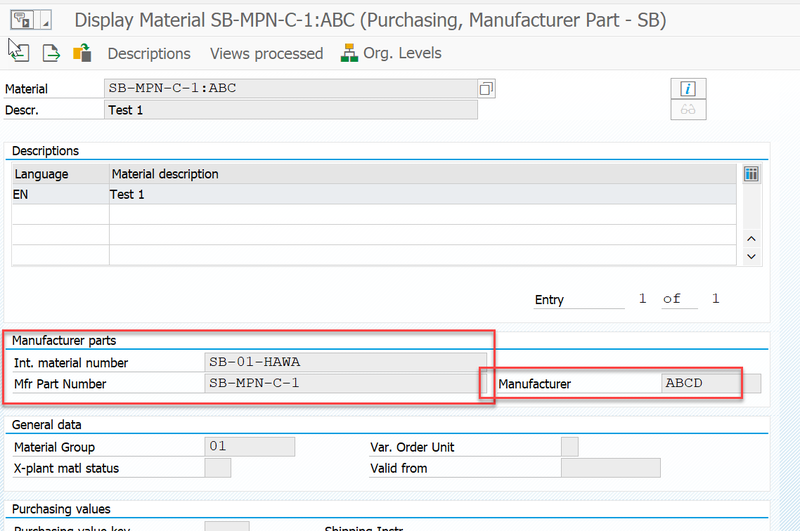 The SB-MPN-C-1:ABC can be any number and the Mfr part number is a free text so any material number can be entered here. NOTE: SB-HERS and SB-MPN-C-1:ABC is like connectors of Internal material SB-01-HAWA to part numbers SB-MPN01 and SB-MPN-C-1. 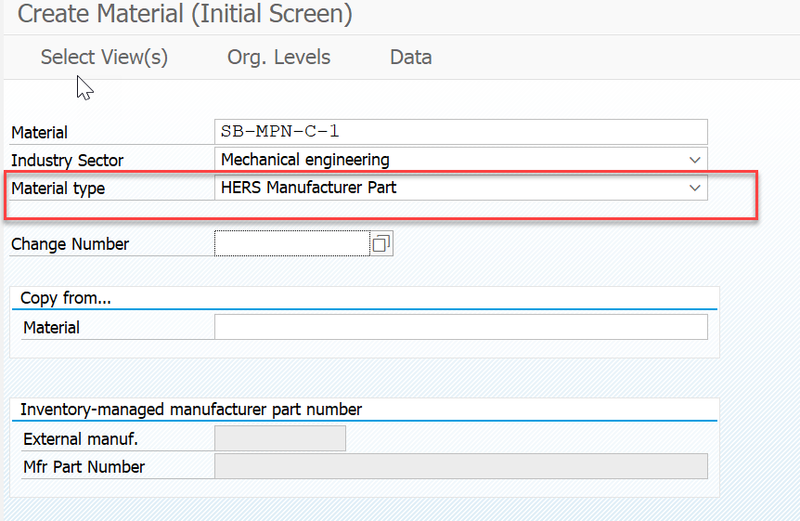 In the Mrf Part number field in MM01 next screen ( HERS material type) is free text entry and any part number can be entered. This will be later printed on PO. AMPL – If the customer is using APML. 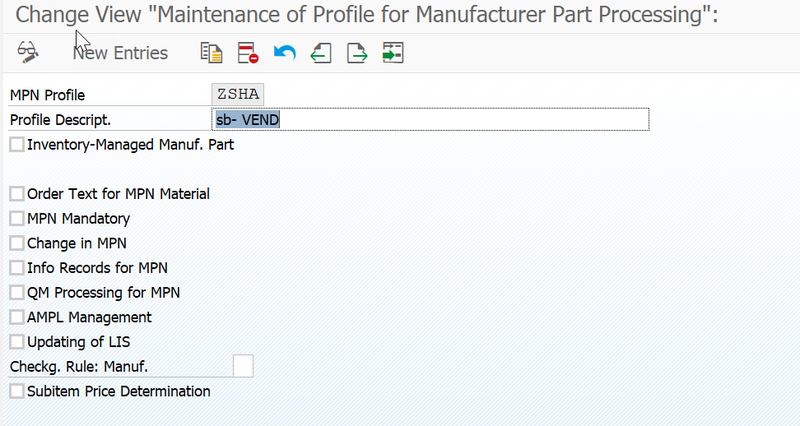 AMPL provides an additional list where you can maintain your parts with Internal material and manage parts with validity dates. Now the PO print preview will read the part numbers from this AMPL list maintained. ** Note: There is an additional field on PO screen in ME21N where the MPN can be keyed in. 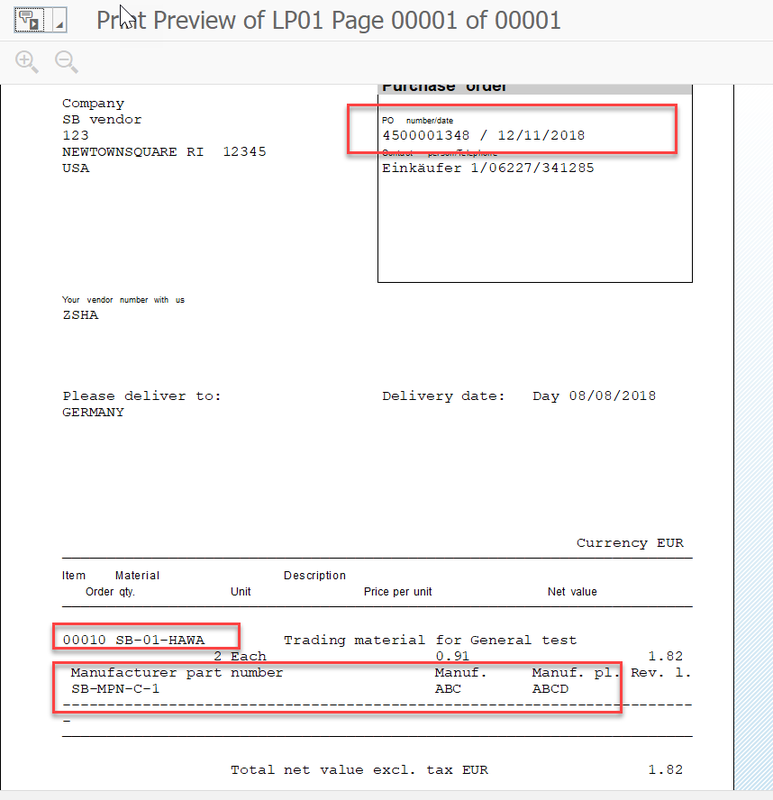 This is a case where we have one to one relationship of MPN material and company’s own material.